When it comes to quarterbacking legends, the CIAA has had its share, particularly over the last 30 years. In this first post, we’ll look at the fifth player on the list and those that make honorable mention. Antonio Hawkins, Virginia State (1997-2000): Completed 651 passes for 9.287 yards and 68 touchdowns in his career. 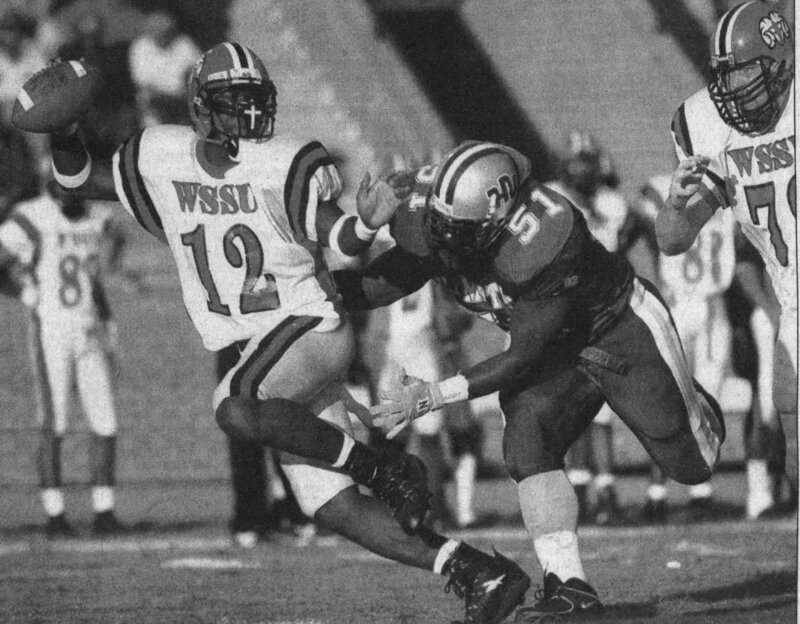 Tory Woodbury, Winston-Salem State (1997-2000): Led WSSU to two CIAA titles (1999 and 2000) and went on to play in the NFL. Carl Wright, Virginia Union (1989-1991): VUU’s all-time career yardage leader with 7,734 yards in the air. Football is a funny game. There are some decent quarterbacks (Terry Bradshaw) who play on great teams and then there are those great quarterbacks who wrack up stats with mediocre-to-plain bad squads. Drew Powell fit that bill at Livingstone. LC won just 15 games in his time in Salisbury, but Powell was a beast. As a freshman in 2012 he completed 56.4 percent of passes for 2,322 yards with 18 touchdowns and just five interceptions. He followed that up with a solid sophomore campaign in which he threw for 16 touchdowns to nine interceptions while completing 53.7 percent of his passes for 2.127 yards. The 2014 season he threw for 26 touchdowns while completing 54.6 percent of his passes for 2,241 yards. Powell’s senior stats took a dip as he passed for a career-low 2,166 yards and 15 touchdowns while completing a career-high 58 percent of his passes, leading Livingstone to its first winning season (5-4) in over a decade. Overall, Powell left his mark on the CIAA record books by setting new marks for completions (732) and total offense (10,861). He has found a home in arena ball, leading the Iowa Barnstormers to the IFL championship earlier this month after winning league MVP honors.